With its promise of new life and growth, spring is a wonderful time to assess what you've outgrown, what new challenges you'd like to use to help your development, and how you've changed for the better over the last year. First, take stock of your life. Sit quietly and think about where you are, how you've grow, what you would like to change. Meditate on where there is balance and where you need to restore balance. Write down thoughts and ideas letting them flow freely without passing judgement or censoring them. Reflect on what you wrote for a few days and then go back to it and shape a game plan for change. Second, check in with your body, being focused on how your body reacts to substances, situations and people. Think about what your reactions mean and what your body is telling you. Perhaps you need to make dietary changes, lifestyle changes or set some boundaries. Keep a body journal for a few days, noting your reactions and feelings. This can tell you volumes about your health and mental state. 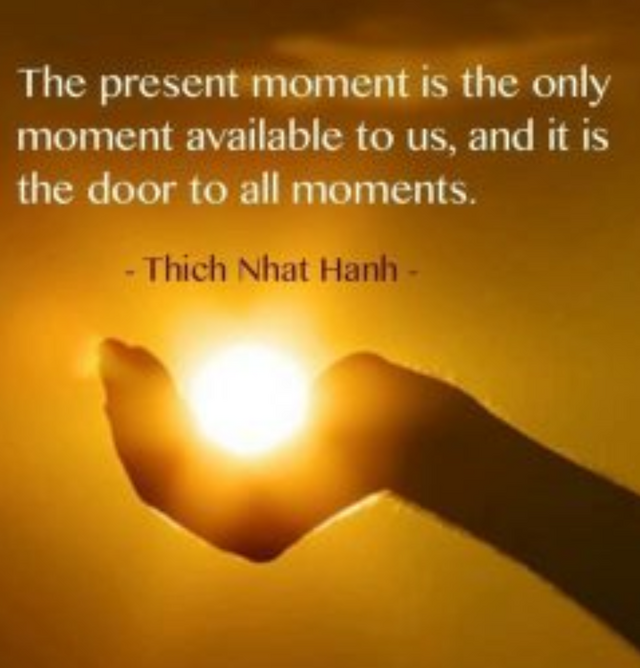 Third, be present. More and more research is saying that joy resides in our present experiences. It's not found in the past or the future. But we distract ourselves all the time from connecting to joy because we are losing the ability to just be. A simple practice to help build your ability to live in the now is to go outside into a quiet, beautiful setting, seat yourself comfortably on a pillow, blanket, bench, swing; whatever works for you. Close your eyes, quiet your mind and then bring your attention to the sensations you are experiencing one at a time. It might be the weight and warmth of the sunshine on your face, the soft touch of the breeze, the sound of the birds, laughter carried on the wind or the scent of cut grass. Absorb it, focus on it and feel the peace that it brings to your soul. Mindfully do this a couple times a week to build the habit of presence.